Valentine, a blind, confused and dying old man, seeking his peace with God, makes his last confession to a visiting friend, Thoms Lyon, mistaking him for a priest. Thomas, in Newmarket to research for a new film, is placed in a moral dilemma. Wild horses wouldn't drag from a priest the secrets of the confessional - but then Thomas is not a priest. Should he tell what he knows from the confession, or not? He discovers that the solution to his quandary could mean the difference between life and death. 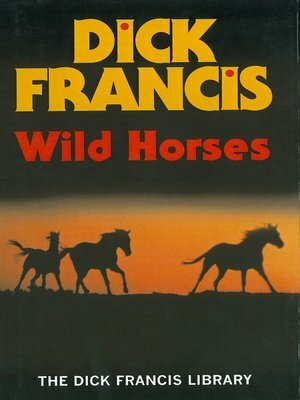 WILD HORSES is a masterly mix of convincing characters, fine writing and an inscrutable and ingenious plot.